Can be used by a number of users daily, recommended for use in high throughput areas. SAW touch technology works on the surface of the panel. 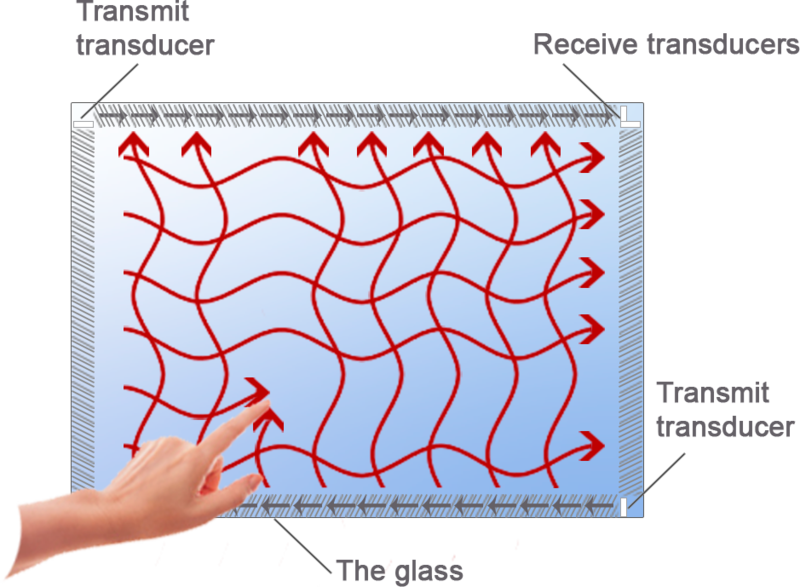 The glass is highly durable, minor mechanical damage to the working surface (scratches, scuffs) does not affect the operation of the touch screen. Typically, the software of devices for public use is designed to support one touch and involves step-by-step use. It is difficult to break without using of tools or intention to do so. Moisture on the working surface will not damage the screen, when it’s dried out or removed, the screen will continue to work correctly. In places with constant fluctuations of temperature, where condensation can be easily formed, it’s recommended to protect the electronic part (controller, connectors) of the SAW screen. It can be used in any season of the year and in different climate conditions. At low / high operating temperatures it is necessary maintain the heating / cooling of the equipment with a built-in touch screen. The working surface of the screen is not susceptible to corrosion and oxidation.